With more than 12 million ecommerce businesses on the web, it is a bit daunting for new ones to make a mark quickly, especially when businesses as big as Amazon and Spotify are at the top. However, this does not mean that you have no chance to succeed. If you work hard, you can leave a mark as well. Amazon itself was a small company when it started and today it is a giant because of creativity and hard work of its team. Ecommerce is a huge industry, worth 1.6 trillion today. There is space for everyone, especially with a growing number of people now using the web for purchases. However, businesses still fail. The problem is that the ecommerce market has expanded so much that it has become a bit difficult for fresh ecommerce businesses to succeed. One major reason for failure is choosing the wrong line of products. In the world of selling, you need to sell according to the needs of the people. Phone accessories are in high demand because there are 224.3 million smartphone users in the US alone. This means that 80% to 90% of them will need to buy phone accessories at one time. Therefore, selling phone covers, protectors, earphones, Bluetooth devices, casings etc., can be a good businesss. Today, fitness is given a lot of importance and 6 out of 10 people prefer to go to a gym while some even perform mild exercises at home. Thanks to this increasing enthusiasm, sports wear are in quite demand. So, you can sell sports shoes, headbands, sweatshirts and pants, gloves, armbands, yoga pants etc. This category is bound to boom because according to reports, maternity rate is expected to grow by 2%. This means that lots of parents, especially mothers will be on a lookout to buy maternity dresses, baby room decor products, pregnancy ebooks and other pregnancy related products. So, it’s a good catch. Decorating homes boosts the overall worth of the property, however, many people find it expensive to go for upgrades. Here’s where home decor items come to the rescue. They sell like hot cakes as they are cheaper. Make sure to offer good customer service and offer a large collection of items. People love to buy watches because they add class to their personalities. Around 1.2 billion watches are sold each year around the world. This is enough reason to keep a broad category of watches and sell it online. Make sure to include a variety of brands such as Rolex, Quartz, Timex, Citizen etc. Did you know that the purse and handbag industry is worth $151 billion? There’s a huge demand for wallets, stylish tote bags, backpacks, clutches etc. Introduce these to your audience and if they are good, they will defintiely sell. Mini projectors are required in a variety of places including educational places, offices, warehouses, medical facilities and whatnot. It’s an industry that is expected to hit the $3.44 billion mark by 2022. Keeping this in mind, you can come up with something innovative, for example a LED mini portable projector. Portable projectors are easy to carry and LED ones can be connected to smartphones, too. We all want to look good. The myth says that only women spend on beauty products, but data reveals that men spend a lot on such products as well. You can target both men and women by offering nail polishes, face masks, beauty creams, moisturizers etc. Just make sure to have a wide selection of known and unknown brands to find buyers. Jewelry adds a spark to a person’s personality which is why both men and women love to wear it. You can sell bracelets, necklaces, rings, earrings etc. However, make sure to add a good and an extensive variety to attract buyers. If you have skills then you can join one of the many online platforms to be a freelancer. It is a growing business and you can make a lot of money based on the skill you have up for sale. How To Sell Like Amazon? Amazon is a giant when it comes to online ecommerce businesses. It accounts for 44% of the US and 4% of the world’s ecommerce market. To start a business like Amazon, one needs to register their business, open a business account and most importantly, have a top notch ecommerce website that is also SEO friendly. First, you need to hire a company to build you a quality ecommerce website which offers all the features that buyers are interested in. You do not have to replicate Amazon, but you can learn from them and see what kind of features they have. Also, get a good URL and a reliable hosting package for your site. Sign up with a logistics company to care of shippings. There are many but it’s recommended to use a popular and reliable one, such as FedEx. When you sign up, you will receive an API which you can install on your website and you’re good to ship products. It’s very important to consider the cost of selling and the profit on each sale. There are several costs involved such as employee salary, space rent (if there’s any), shipping charges, tax etc. The number you get after deducting all these costs is your net profit. So keep that in mind and plan accordingly. 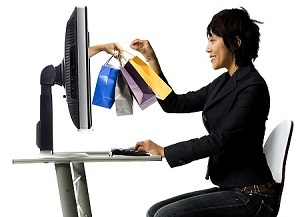 If you are planning to start selling online then make a move today. The market is huge and you can make a mark if you plan well.